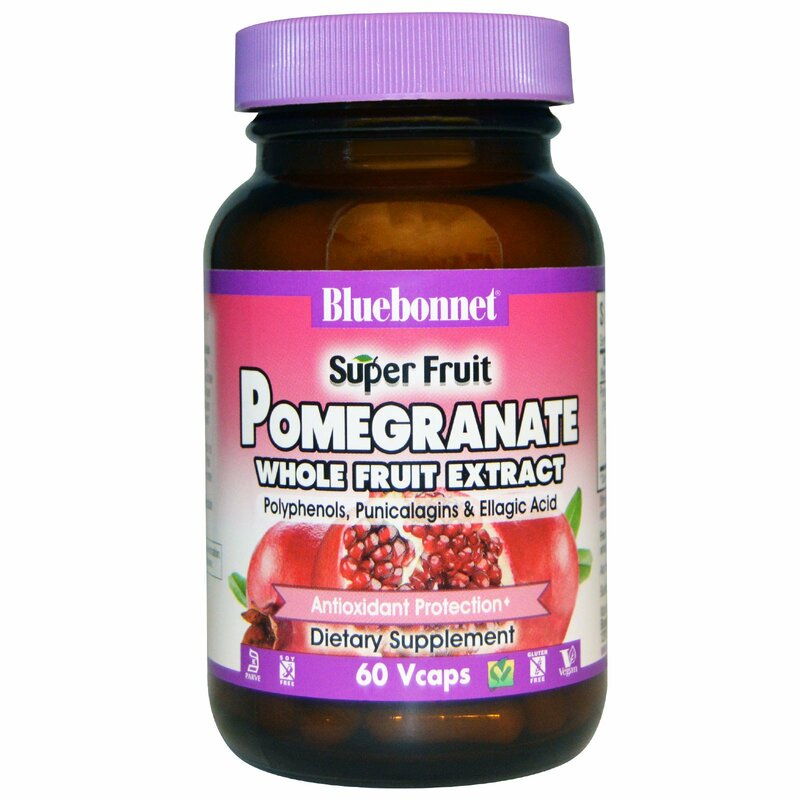 Bluebonnet's Super Fruit Pomegranate Whole Fruit Extract Capsules offer a pomegranate extract from the whole fruit instead of just the seeds and skin where the most well researched and bioavailable active constituents - punicalagins - are most abundant. In fact, this unique whole fruit extract provides one of the highest levels of punicalagins on the market (160 mg/serving), which is responsible for its potent antioxidant activity and health benefits. Although punicalagins metabolize into smaller polyphenols, such as ellagic acid, the latter is not soluble in water and therefore poorly absorbed. 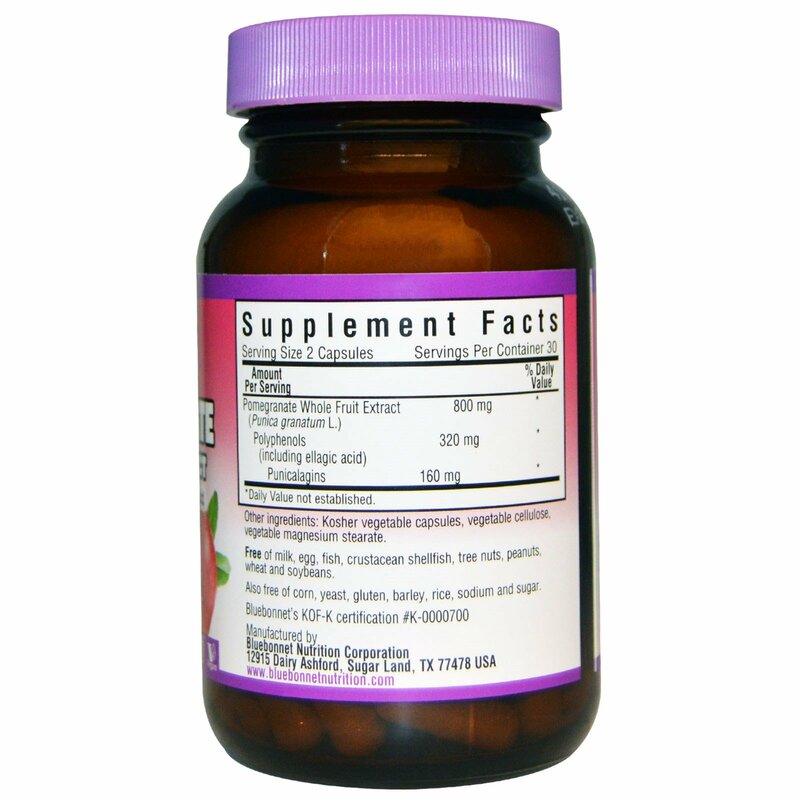 That is why this formula offers inherently high amounts of punicalagins that are more bioavailable, better absorbed into the bloodstream, and more efficiently utilized by the body. Available in easy-to-swallow vegetable capsules for maximum assimilation and absorption.